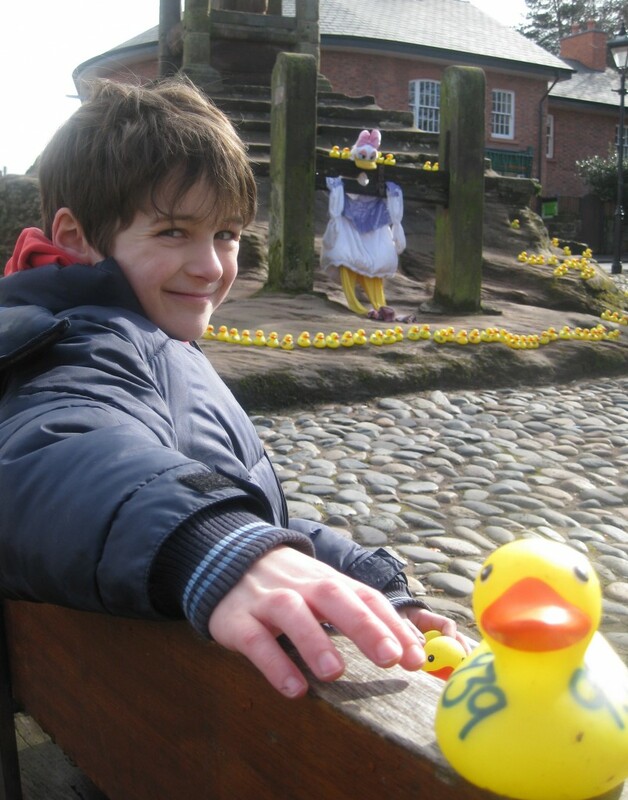 Lymm goes quackers for the duck race! MEMBERS of the public came out in force on a sunny Easter Monday to support Lymm and District Round Table’s duck race – helping to raise around £7,000 for charity in the process. Led by main sponsor, Co-Operative Food at Cherry Lane, a host of businesses also supported the event, helping to make it the most successful duck race ever. Along with the race and kids entertainment, the Easter Food Fest, organised by Lymm Ladies Circle, also proved highly popular and contributed £1250 to the charity kitty. The winning ducks were numbers 45 (first), 156 (second) and 778 (third), with the super duck winner named as Sextons Bakery and corporate duck winner Gascoigne Halman. Each business will now nominate a charity of their choice to donate money to (£1000 for the super duck, £250 for the corporate duck). 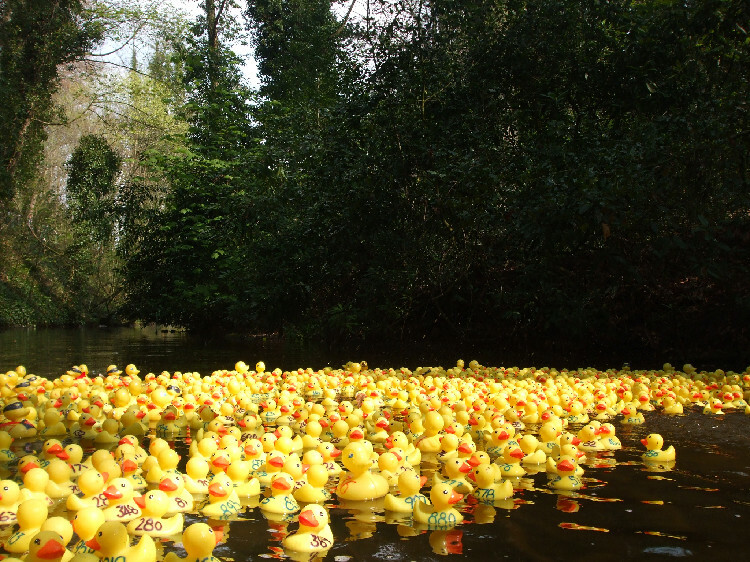 The ever-popular Lymm Duck Race is once again on the Easter Monday bill (April 21st) and organisers Lymm and District Round Table are expecting another great turnout. The race, once again sponsored by the Co-Op store on Cherry Lane, begins at 12.30pm and there will be a return for the ‘Easter Food Fest’ on Henry Street car park – next to the youth and community centre – comprising a range of stalls offering food to eat on the day or to take home. The food fair, along with all the usual children’s entertainment and stalls, will be open from 10.30am. Alternatively, tickets are on sale by The Cross, Lymm, on the four Saturdays preceding Easter Monday and you can also buy them on the day. LYMM and District Round Table has started 2014 as it means to continue – by donating lots of money to charity. 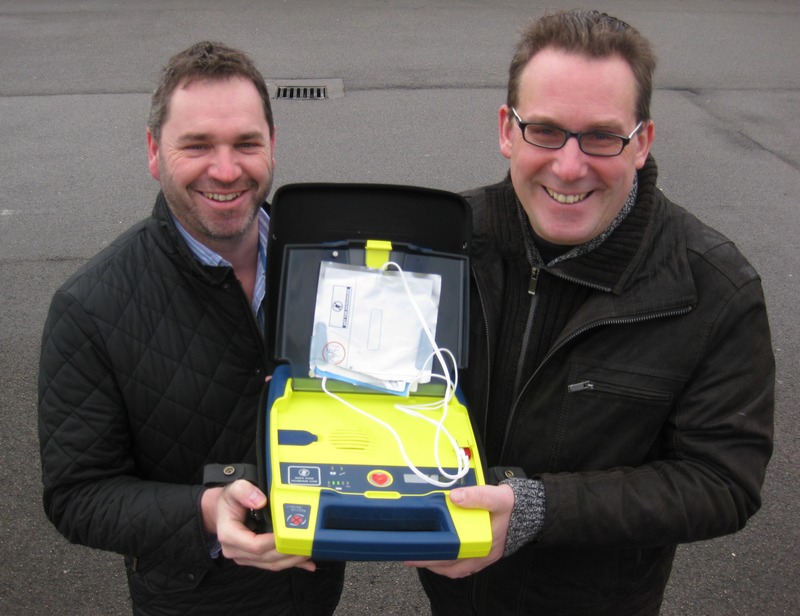 Following a highly successful 2013, the Round Table has recently donated over £3,500 to worthy causes, including £1800 towards purchasing heart defibrillators and training for the Grappenhall area, £500 to Kids Cancer Charity for family breaks, £500 to Lymm Cubs for developing orienteering facilities and £350 to the Lymm Squash Club to develop activities for young members learning the sport for the first time. A further £330 has gone towards the Bridgewater Gymnastics Club for portable equipment and £330 to TOFS, a charity for families of children born unable to swallow. Round Table chairman Steve Liput said: “It has been another great year for Lymm and District Round Table which is good news for local charities and community groups who benefit from the proceeds from our three main events – the Easter Monday Duck Race, the Lymm Beer Festival and the Big Lymm Bonfire. LYMM and District Round Table’s annual bonfire ripped up the record books after raising an impressive £7,500 for charity. 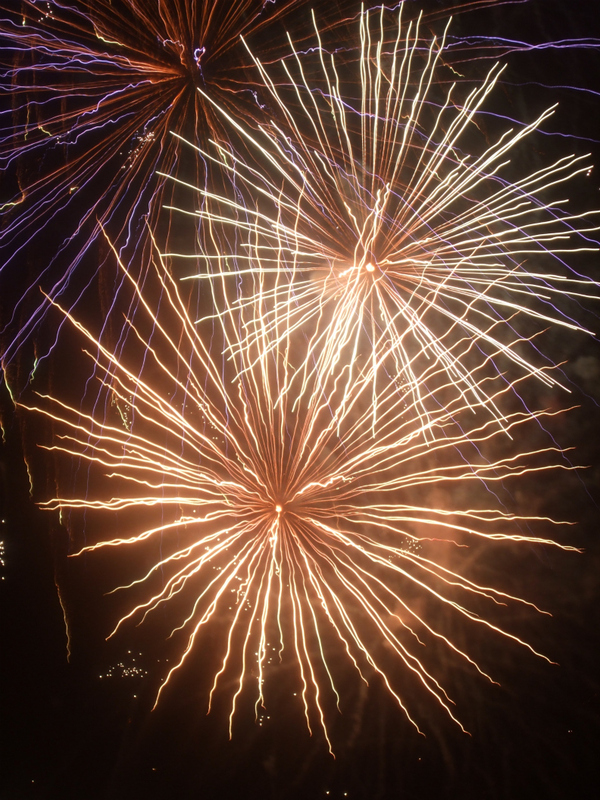 The popular event – sponsored by Kids Planet Nursery and held at Lymm Rugby Club – treated attendees to two fireworks displays including an earlier one for children, along with a range of food, refreshments and fairground rides. Oughtrington Pre-School, who had a stall at the event, also managed to raise £400. Bonfire organiser and Round Table member Graham Gowland said: “We’re really pleased with the number of people who attended the event; it seems to grow in popularity every year. THE Lymm and District Round Table’s charity bonfire is returning with more attractions than ever before. 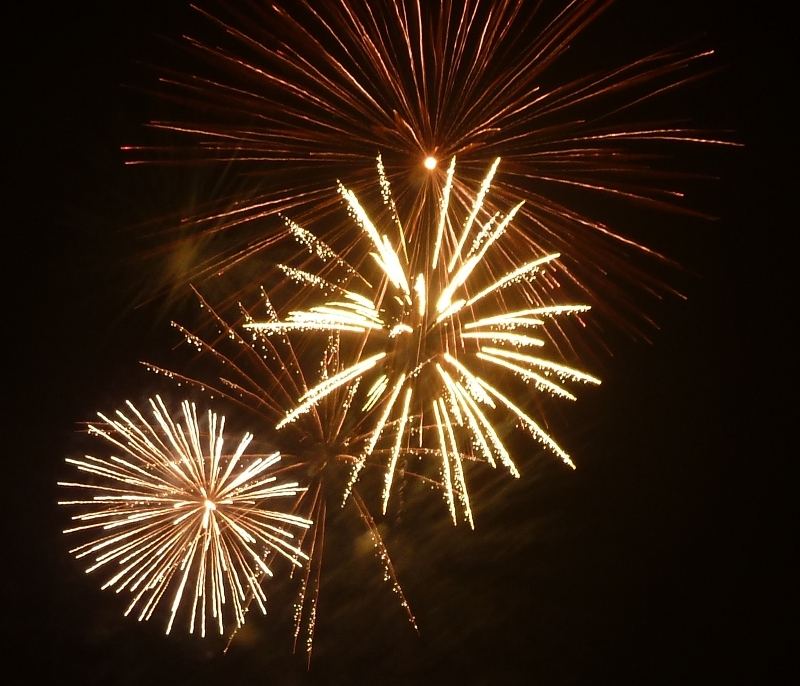 The popular event, sponsored for the second year running by Kids Planet Nursery, will take place on Saturday 9th November at Lymm Rugby Club on Crouchley Lane, with gates opening at 6pm, followed by a children’s fireworks display at 6.30pm, bonfire lighting at 7pm and the main fireworks display from 7.30pm. Tickets will be on sale – complete with ‘Guy’ – by The Cross, Lymm, on the three weekends preceding the 9th November, and you can also pay on the door. Prices have been held for the last four years, at £10 for a family (up to two adults and two children), £5 for adults and £2 for children. For more information about the event, contact Graham on 01925 751599. LYMM and District Round Table’s third beer festival has generated a barrel-load of money for charity following another great turnout from the ale-loving public. Close to £4,000 was raised in total, beating last year’s proceeds by some margin, as hundreds attended the two-day event sponsored by Amplify – a Lymm-based web design company. The 30-plus cask ales, ciders and perries went down a treat, as did the live music and hearty grub served up by Lymm Ladies Circle who also raised over £400 for good causes. Ian Newhouse, who helped to organise the festival, said: “Raising this kind of money for charity was a magnificent effort and it really is a great event to be a part of. There is certainly a thirst for real ale these days as, despite having significantly more beers on offer than last year, the festival was drunk dry late on the Saturday night. THE Lymm Beer Festival is set to return for its third year and organisers Lymm and District Round Table are promising it will be bigger and better than ever. Following on from previous success, this year’s charity event will take place on Friday 6th (6pm-11pm) and Saturday 7th (noon-11pm) September in Lymm Village Hall and is sponsored by Amplify – a Lymm-based web design company (www.projectamplify.com). Two dozen cask ales will be on offer plus a selection of ciders, perrys and wine. There will also be live music throughout both days including the Lymm Concert Orchestra and local bands, a quiz and hot food served by the Lymm Ladies Circle, who will also be providing free soft drinks for non-drinkers. The entry fee is £5 (£3 Saturday afternoon and discounts for CAMRA members) which includes a pint glass created specifically for the event. All cask ales and ciders are at one great price of £2.50 a pint. For more information about this year’s beer festival visit www.lymmbeerfest.co.uk, find it on Facebook or Twitter, or, if you’re interested in sponsoring a cask email beerfestival@lymmroundtable.co.uk or call 07810 152931. LYMM and District Round Table are hosting an event to recruit new members following another fantastic year. At the recent AGM it was reported that close to £20,000 was raised for charity this year following hugely successful beer festival, bonfire and duck race events. However, with a number of members leaving for the newly-formed ‘41 Active’ club after reaching 45, a new influx of fundraisers is sought. As such, a free-of-charge ‘New Members Night’ will take place on 12th July at Lymm Village Hall, Pepper Street, starting at 8pm, and will feature pub games, a giant scalextric and chilli. New chairman Steve Liput said: “We’ve had another great year as we’ve put in a lot of effort to raise money for some really worthy causes. Sadly, as some members are moving on we would like to get more lads involved so that we can continue to host our popular community events to the same high standard. “Round Table is a great way to meet other like-minded guys, especially if you’re new to the area. We have a busy and varied year of social activities ahead including go karting, curry nights, paintballing, an array of sports – both watching and playing – and then of course there’s the sense of pride you get from helping to raise thousands for charity. For more information about the Lymm and District Round Table’s New Members Night, email info@lymmroundtable.co.uk, visit facebook.com/lymmroundtable or call Graham on 01925 751599. PEOPLE from across Warrington and beyond braved the cold early spring weather to make Lymm’s customary Easter Monday Duck Race the most popular yet. Ducks Away!…Round Table members Rich Storey (left) and Graham Gowland at the duck race launch (picture courtesy of the Warrington Guardian). Despite the wintry winds, organisers Lymm and District Round Table reported that £6,000 was raised for charity – a record for the event – thanks to main sponsors Co-operative Food, and the support of many local businesses and members of the public. This year, the winning ducks were numbers 598 (first), 618 (second) and 951 (third). The super duck winner was named as Cheshire Housing Management and corporate duck winner Vogue hairdressers. Both companies will nominate a charity which the Round Table will donate £1000 and £250 to respectively. Prizes were also awarded to those who guessed the correct finish times of special Lymm Ladies Circle pink and blue ducks which helped to raise funds for breast cancer and testicular cancer respectively. Lymm Ladies also ran a successful stall selling cakes and other treats on the day. 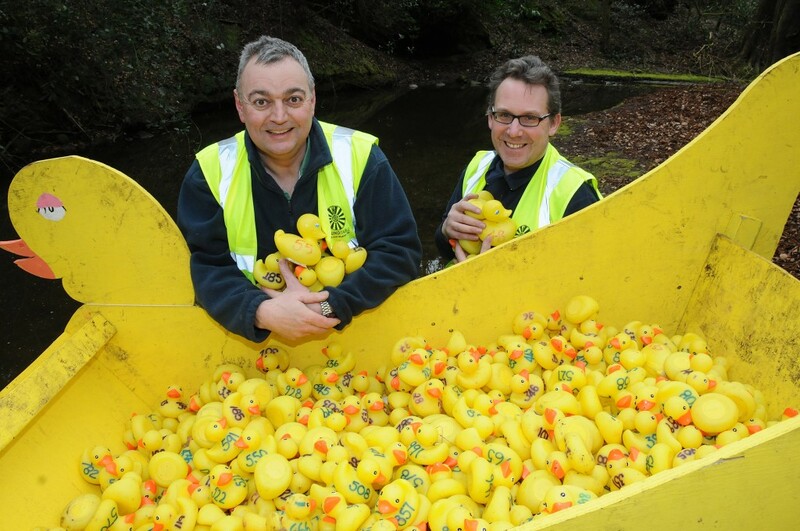 The Duck Race is set to return on Easter Monday (April 1st) with Lymm and District Round Table promising it will be bigger and better than ever. Finn Oakley, 8, is hoping his duck is first past the post. The popular annual event, kindly sponsored this year by The Co-operative Food, takes place in Lymm village, with the race beginning at 12.30pm. This year, there will be an additional ‘Easter Food Fest’ on Henry Street car park – next to the youth and community centre – comprising a range of stalls offering food to eat on the day or to take home. This new feature, along with all the customary children’s entertainment, will be open from 10.30am. “The Duck Race continues to be a well-supported community event and this year we thought we’d try and offer even more for people,” said Steve Liput, Round Table member. “Hopefully the weather will be a little better than last year as there’s nothing nicer than a packed village centre with the sun shining.